The Kurds are an ethnic group in the Middle East inhabiting a predominately mountainous region spanning parts of Iraq, Iran, Turkey, Syria and Armenia. Many Kurds trace their roots of origin back to the Medes, an ancient Persian people. The majority of Kurds are Sunni Muslims. Estimates of their worldwide population range from 30 to 45 million people. They are the largest ethnic group in the world without their own nation, and in number rank fourth among all the people groups of the Middle East behind Arabs, Persians (Iranians), and Turks. The Peshmerga, a military force of approximately 100,000 Kurdish fighters, including female fighters, has fought valiantly and successfully pushed back the ISIS penetration into Iraqi Kurdistan. Many Kurds, however, have been displaced by the war. Numbers from Syria have crossed over the border into Turkey to flee from ISIS fighters, while others have escaped to Lebanon. 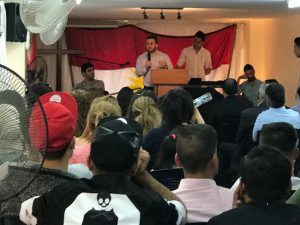 O’s story—The Leader of a Thriving Kurdish Church and Discipleship/ Sending Center for former Muslims and Refugees in Lebanon. Prior to his conversion, “O” was a zealous Muslim, trained by Imams (Muslim leaders) in Syria. Now, he is a bold, dynamic, energetic Christian leader who is training Kurdish refugees and has a vision to raise up leaders and plant churches throughout the region. As a young man, the more “O” read the Qur’an, the more afraid he became of hell. In 2001, at the age of 19, he joined the Syrian army, became disillusioned with Islam, and abandoned its practices. To replace the void in his life, he turned to drugs and became a significant player in the drug underworld. But when a police sting resulted in the arrest of a number of his clients, he feared that if they turned on him he, too, would be arrested, which would carry with it the death penalty. Being desperate, he cried out to God saying, “If you help me today, I will serve you.” Miraculously, though many of his drug-dealing friends were sent to prison, he was spared. “O” re-committed his life once again to become a devout Muslim. He prayed to Allah and fasted. But the more he read the Qur’an, the more distant from God he felt, having no peace. Finally, in 2004, he put the Qur’an aside and began to have heart to heart talks directly with God. Then something broke, and he found peace. Not long after this, a friend from Beirut called him and offered him a job so he moved to Lebanon. One day he heard a knock on his door. 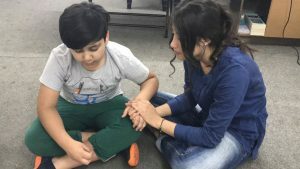 Simultaneously he heard a voice say, “Whatever this person says, do it!” He opened the door and found a Kurdish man who was going door-to-door asking for blood donations. He went with the man and gave blood, and afterward they went to a small coffee shop to have coffee together. There the man began sharing with him about Jesus. Finishing their coffee, they left the shop and went to the beach where they sat and talked all night until 5 in the morning. O’s mind was telling him that he should not be listening to this infidel, but that this infidel should be listening to him. In his heart, however, he was agreeing with the beautiful gospel message he was hearing. At the end of the conversation, the young man invited “O” to come with him to church, and he agreed to go. A few days later, he went with his newfound friend to the church. When he entered inside, he felt like someone had warmly embraced him. He heard that same voice speak to him once again, saying, “This is the place you should live for the rest of your life.” Following the meeting he met with the pastor who asked him if he had any questions. He said, “I have one question. How do I become a Christian?” That was the day “O” surrendered his life to become a follower of Christ. While in Beirut, “O” began praying that the Lord would raise up a Kurdish church. Early in 2013 he, along with his wife and four other believers, began asking God to give them a building in which to meet. By the time they found a building, they numbered eight believers; by the time they opened their doors, they were 28; by March of 2013 they had grown to 128; by May, to 185; and by August their numbers reached 450. After that, they stopped counting. This was the beginning of Good Shepherd Kurdish Church. The people who came to their meetings were primarily Kurdish refugees from Syria. But Arabic-speakers also came, so they ended up having two services—one in the Kurdish language and one in Arabic. Since they had grown so large, they began looking for another building. Most of those who attended their meetings were refugees—those who stayed for a while and then moved on. Rather than securing a bigger building, God led “O” to a new place that could only fit 120 chairs. Osama heard God’s voice again speak to him and say, “Do you want numbers, or quality?” This is when he understood the value of making and sending disciples rather than merely attracting large numbers. Since 2013, countless refugees—both Kurds and Arabs, have come to Christ and been discipled. 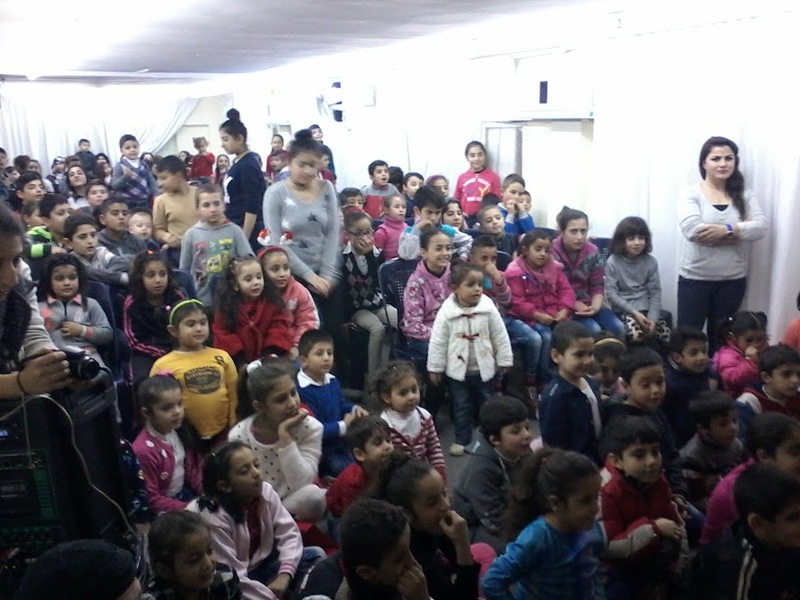 Today the church serves more than 140 families. Each week the church meets regularly for worship, training, and discipleship. They have children’s meetings for kids ages 6-12, youth meetings for boys and girls 12 and up, and women’s meetings. In addition to the regular church meetings, they have more than 10 different home groups. The leadership team consists of five families, husband and wife, with each family taking responsibility for between 10-14 members. These couples do family and women visitation. 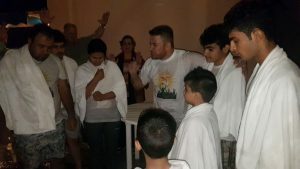 They have developed a strategy of connecting five families that are strong in faith with five families that are new in Christ and need basic discipleship training. Through many of the young men and women they have trained, new churches have been planted in several European countries and also in Turkey. 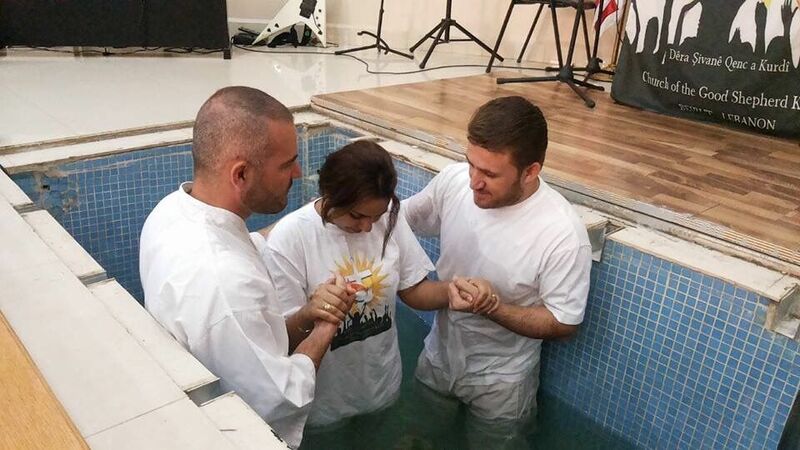 · Monthly support for two additional families committed to serving as church staff at $400/month each. 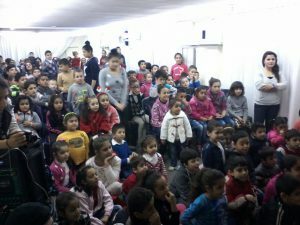 · Financial aid to help refugee families with essential food needs–120 to 150 portions of food supply at $30 per month to help church families. This portion covers one medium size family for a month. · Many within the refugee community in which they work have pre-existing medical conditions. Approximately $1,000 per month is needed to help with medication and medical emergencies. 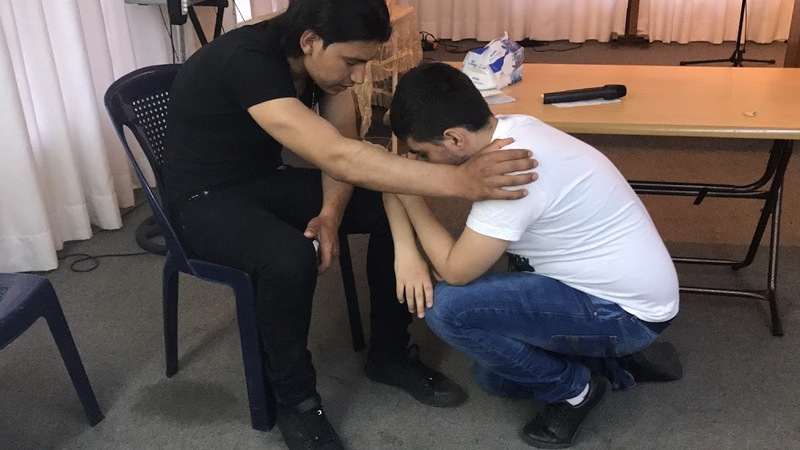 · They are also praying for funds to open a safe house where believers experiencing threatening situations from radical families and others within the refugee community can find refuge. Good Shepherd Kurdish Church has minimal contact with, and therefore little support from, believers from the West. We are looking for monthly financial partners to help sustain and expand this unique and growing work among the Kurds. One-time gifts would also be greatly appreciated.